Three pages for The Boy Child’s album and one for the 2013 album this week. 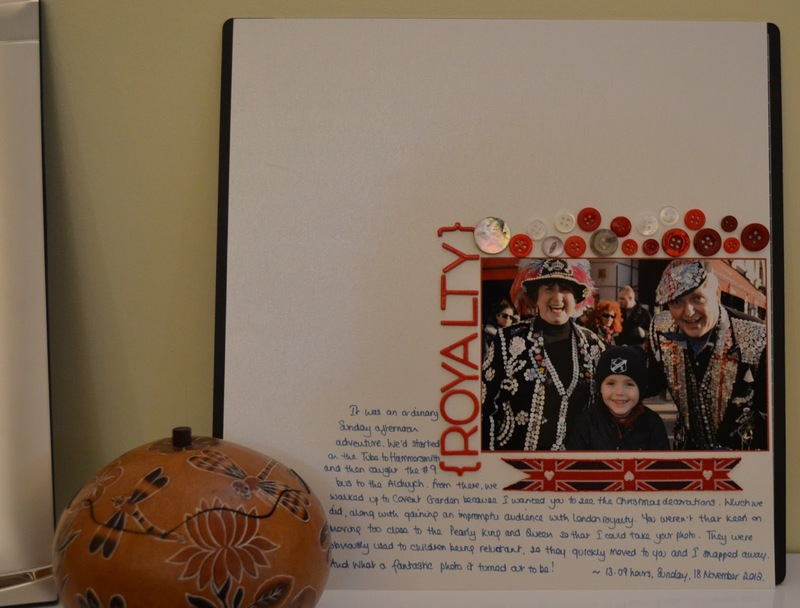 First up is the story of how we met London royalty. I kept it very simple and wrote straight on to the cardstock. The second one shows the tips I learnt from the Telling Tales class. These three photos are also on a page in our 2012 album, too. Some “in the moment” scrapping; I ignored the ironing yesterday afternoon and settled down at my desk. 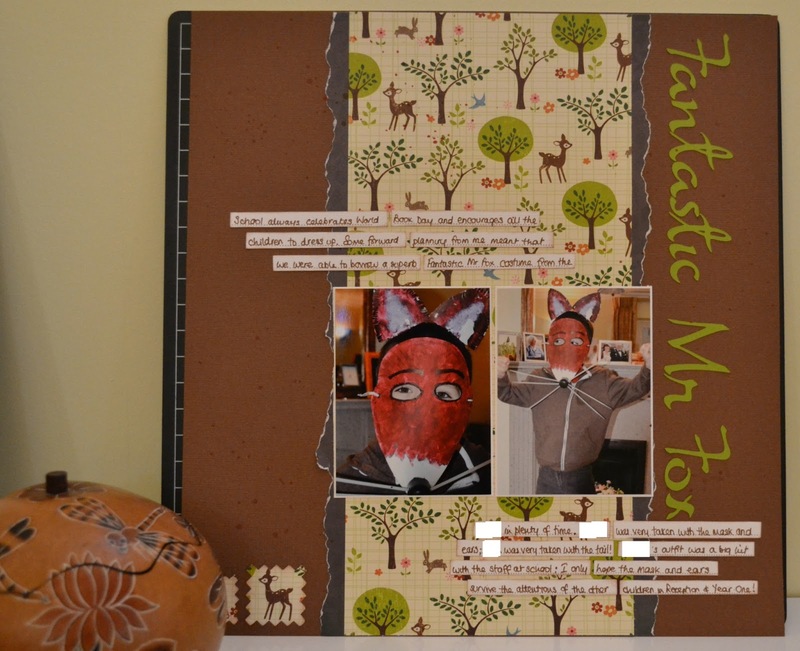 The Boy Child loved the Fantastic Mr Fox costume he wore for World Book day and I wanted to record that on a page (or two) right away. I wasn’t sure that he would wear the mask. Attempts in the past to dress up have led to hysterics from The Boy Child and eye-rolling from me. Two things worked in my favour this time; he’s older and there was enough time this week for him to get use to the touch and feel of the mask. I’m sure that the positive reaction he got at school also helped, because he still had the mask and ears on the top of his head when I picked him up at 3.45 pm. Lovely pages Ruth. I'm glad the boy child enjoyed dressing up. Fantastic Mr Fox has always been a favourite in our house. Love the journaling straight onto the white cardstock. So glad TBC was able to fully enjoy dressing up. Lovely work, Ruth 🙂 And gosh, good for you getting those photos onto pages so quickly! 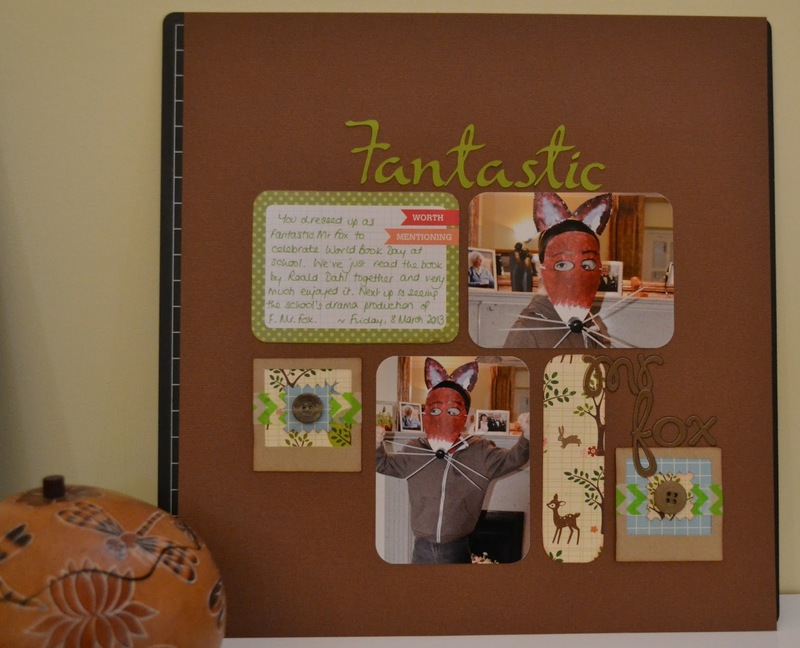 Great pages, especially the Fantastic Mr Fox pair. It was a firm favourite here when the children were small. 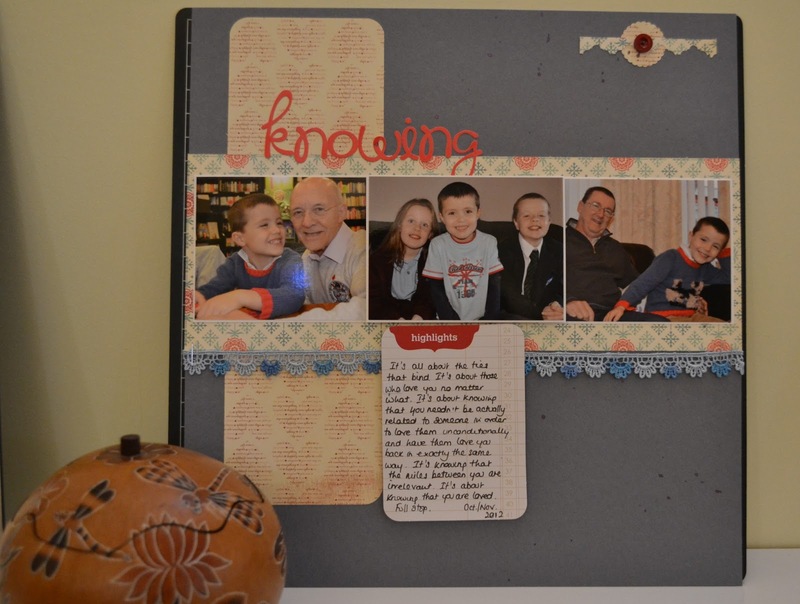 They are wonderful pages – you are on a bit of a scrapbooking roll at the minute, aren't you? It's wonderful to hear that the dress up experience went so smoothly – your pages are pretty fabulous Ruth!